Jaime Gallego joined Lalive in 2009 and exclusively practices in the fields of international commercial arbitration and international investment arbitration since 2004. He has acted in more than twenty-five arbitrations in the energy (including oil & gas), mining, telecommunications, arms, transport, real-estate and infrastructure construction sectors, among others. These were conducted under ICSID, UNCITRAL, ICC, LCIA and CIAC rules, among others, and the applicable laws, both substantively and procedurally, originated from common law and civil law traditions. Many of the arbitrations in which he has been involved have included states or state entities. 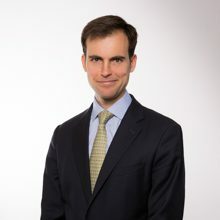 Jaime Gallego is dual-qualified as an English Solicitor and a Spanish Abogado. He is Vice-President of the Swiss Chapter of the Club Español de Arbitraje (CEA) and a member of the executive committee of the Section of Lawyers from Foreign Bars of the Geneva Bar Association. He is also a member of the Swiss Arbitration Association (ASA) and the Comisión de Arbitraje del Ilustre Colegio de Abogados de Barcelona. Before joining Lalive, Jaime Gallego worked at Dechert LLP in Paris in international arbitration team (2004-2009) and at SJ Berwin LLP in London in the corporate and tax departments (2000-2003). He holds a LL.M. in International Dispute Resolution (with honours), University College London, England (2003-2004) as well as a Degree in Law and a Master in Tax Law, both from ESADE, Spain (1994-1999). Listed among the Future leaders in Arbitration. WTO Litigation and investment arbitration: converging views? See the programme and the presentation. See the Course outline. More information at UNITAR's website.